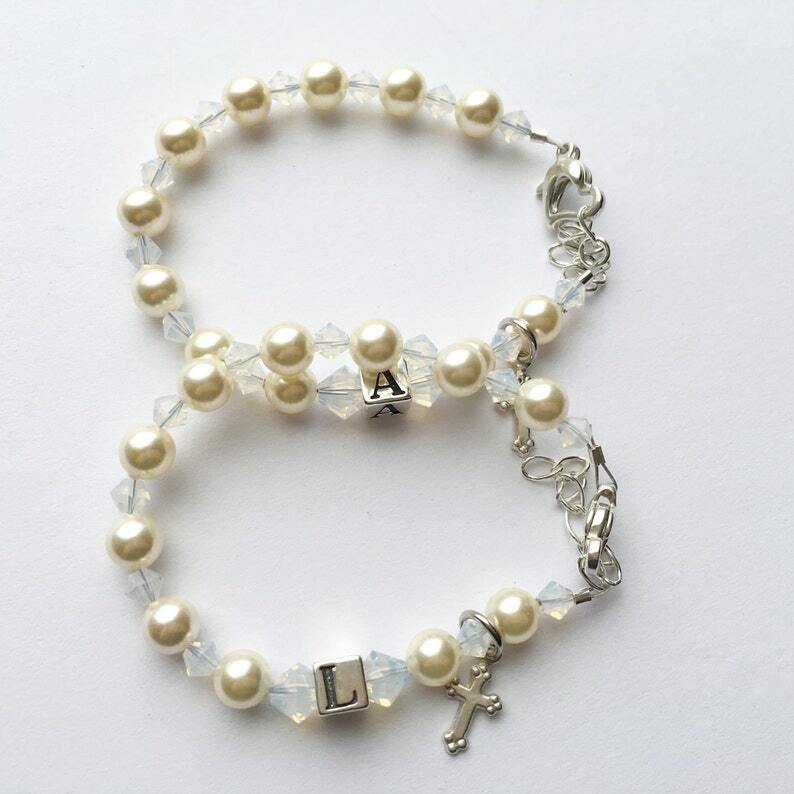 Gorgeous Handmade Sterling Bracelet- Made with beautiful Cream Swarovski Pearls accented with smaller clear crystals, a sterling filled cross and a sterling silver initial bead. Paired with a sterling heart clasp. Added sterling extension for growth. Personalized for that special added touch! Due to the customization of our handmade pieces please allow 7-10 business to be shipped out. If you need sooner please send a message.